Interest in cloud hosting has recently increased due to the advancing capabilities of the various models and services that are available. Many providers have worked to adapt to user needs, including increased functionality and enhanced security, resulting in the emergence of hybrid solutions that have made a considerable difference in the cloud environment. While organizations are actively searching and considering these offerings, a current lack of skilled professionals could be holding them back from adopting these services. The IT industry is quickly growing with the emergence of technology trends like cloud, requiring the necessary skills to successfully maintain new systems. According to a study released in November 2012 by Microsoft and IDC, there were 1.7 million cloud-related jobs that were not filled due to the difficulty of finding higher-level skills like cloud risk assessment and migration planning. Although this development shows the rate of cloud technology maturation, it also creates a significant problem for businesses that are looking to implement related solutions. 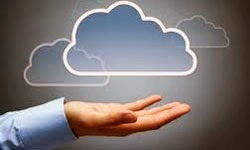 The beginning stages of cloud included IT departments attempting to figure out how to use the system, but now that the technology has continued to develop, the focus has shifted to more difficult processes like application hosting and migration in order to keep pace with the competition. Finding skilled professionals With the need to maintain secure hosting and other cloud services, it’s become necessary for businesses to rethink their hiring processes and qualifications in order to have the best skills for the job. However, this is also significantly hampering cloud adoption, putting the organization behind as they wait for the desired applicants to appear. Bank Systems & Technology writer Jonathan Camhi noted that while cloud is innovating to fit demand, it’s still outpacing expertise availability, requiring companies to have better collaboration among internal departments in order to catch up. With this teamwork, employees will be able to problem solve more effectively and ensure positive results. While some organizations may have outsourced their needs to talent oversees, the trend is beginning to diminish as developers are becoming more likely to remain in their location, making the business rethink its strategy for recruiting and training cloud professionals. Brain Brafton loves and lives technology. A big data geek and an information retrieval junkie he consumes, analyses, interprets and process data like he was a machine. On a continual learning iteration he believe life is a journey not a destination. To keep in contact with Brain find him on Google+ or on Twitter.